Served with Grilled Asparagus on a croûton with wilted Spinach and grilled Tomato. 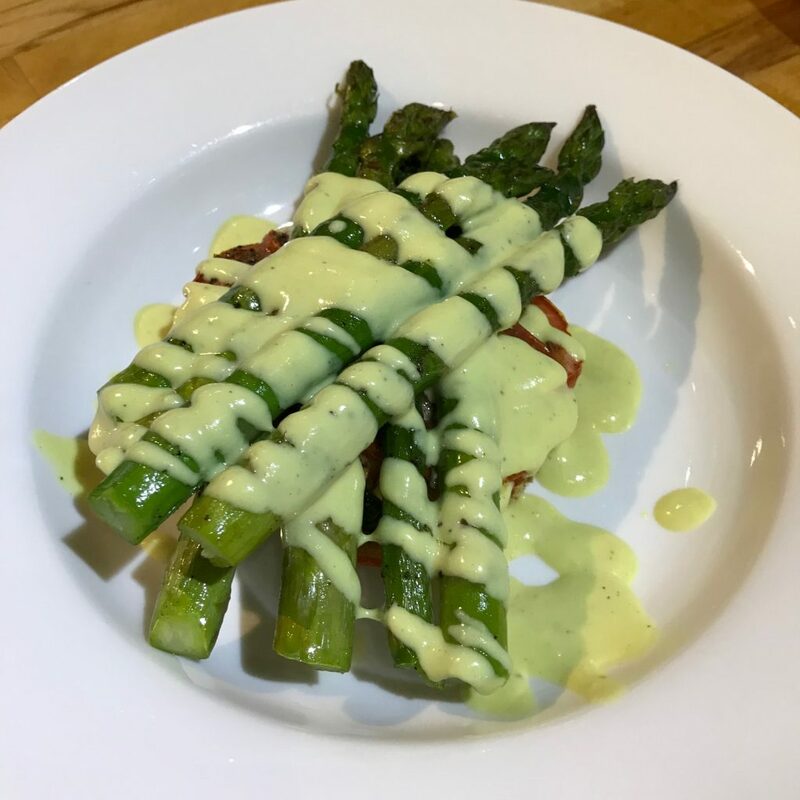 The Vegan Hollandaise was very good. Needed the addition of Tarragon Oil and Tarragon Vinegar (I know you are all thinking Bernaise but I do not care!). If you heat it up it will go very thick and will need to adjust the consistency and seasoning. Cooked the Asparagus, wrapped in Pancetta and grilled until crispy. 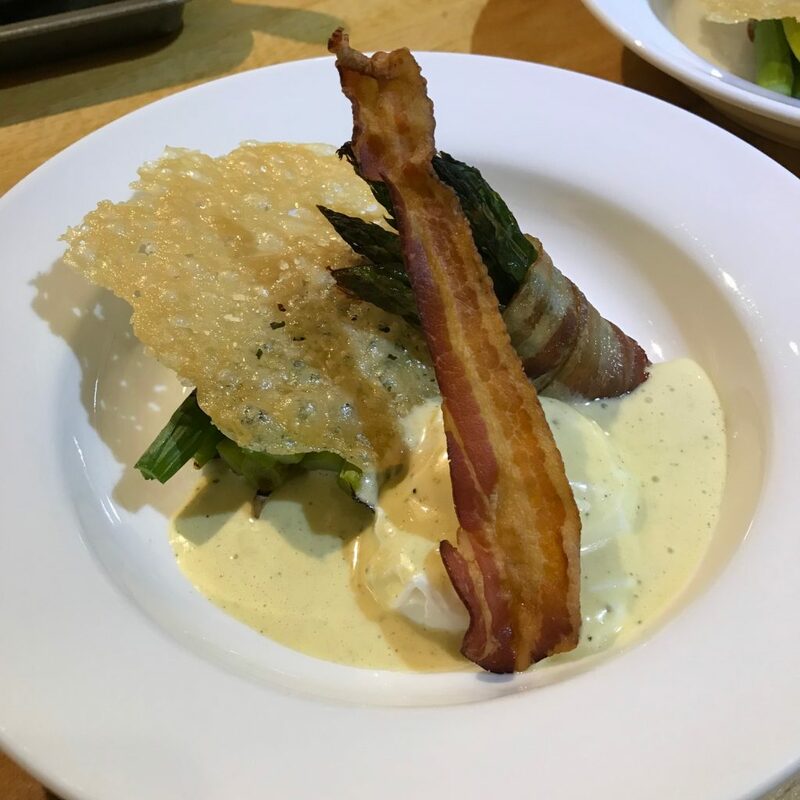 Served with a soft poached Egg, crispy Pancetta, Parmesan Tuille and Hollandaise Sauce. Made a Mushroom and Pea Risotto. 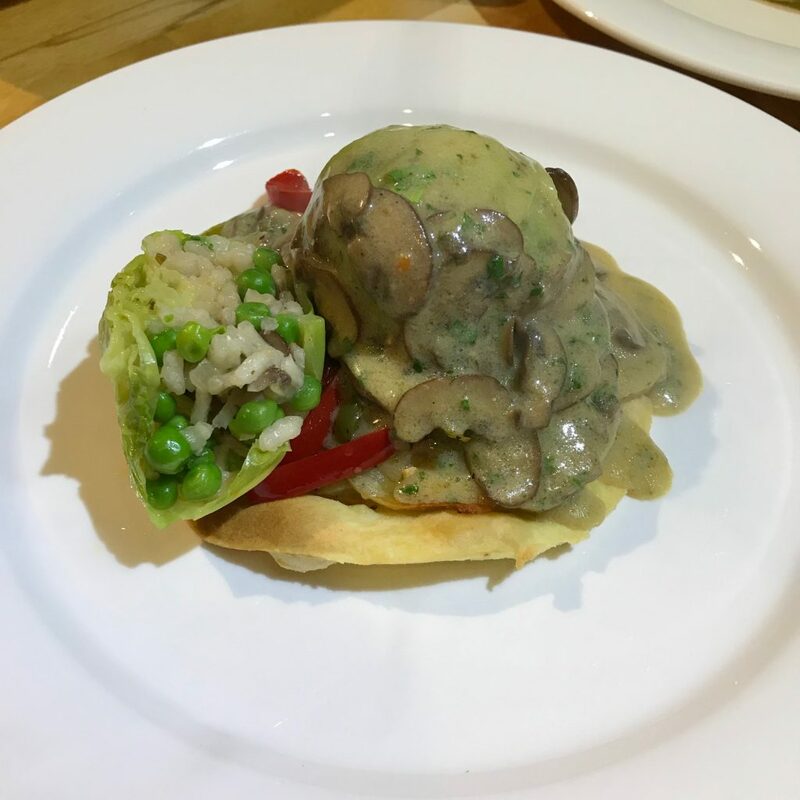 Stuffed it into Savoy Cabbage leaves and served with crispy Pastry circle, Caramelised Onions, Garlic and Olive Oil Sauté Potatoes, Peppers and Mushroom Sauce. 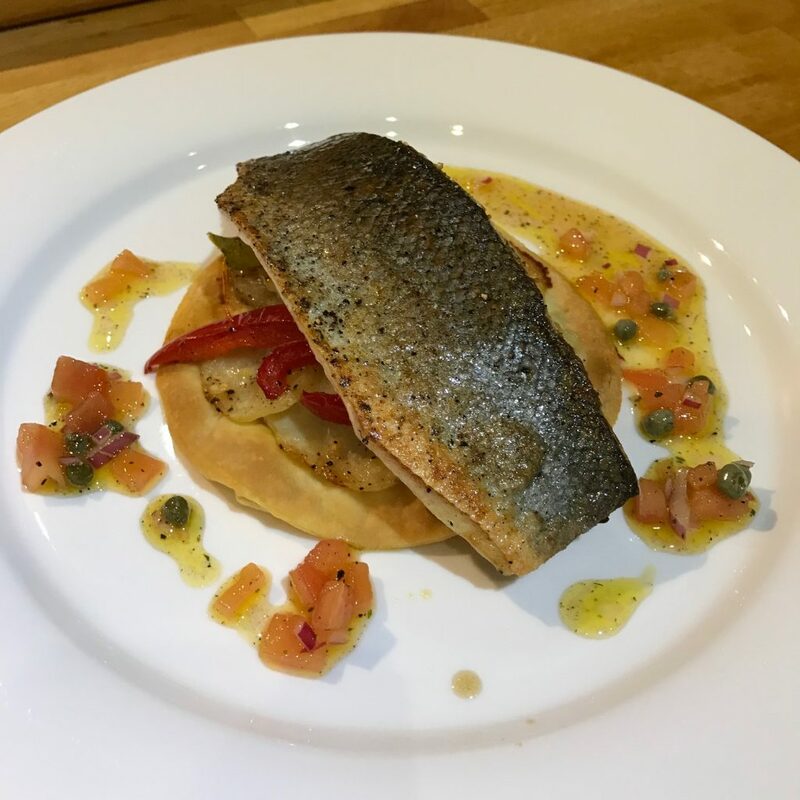 Pan-friend the Sea Bass, finished with Butter and Lemon and served with crispy Pastry circle, Caramelised Onions, Garlic and Olive Oil Sauté Potatoes, Peppers with a Tomato and Caper Dressing. 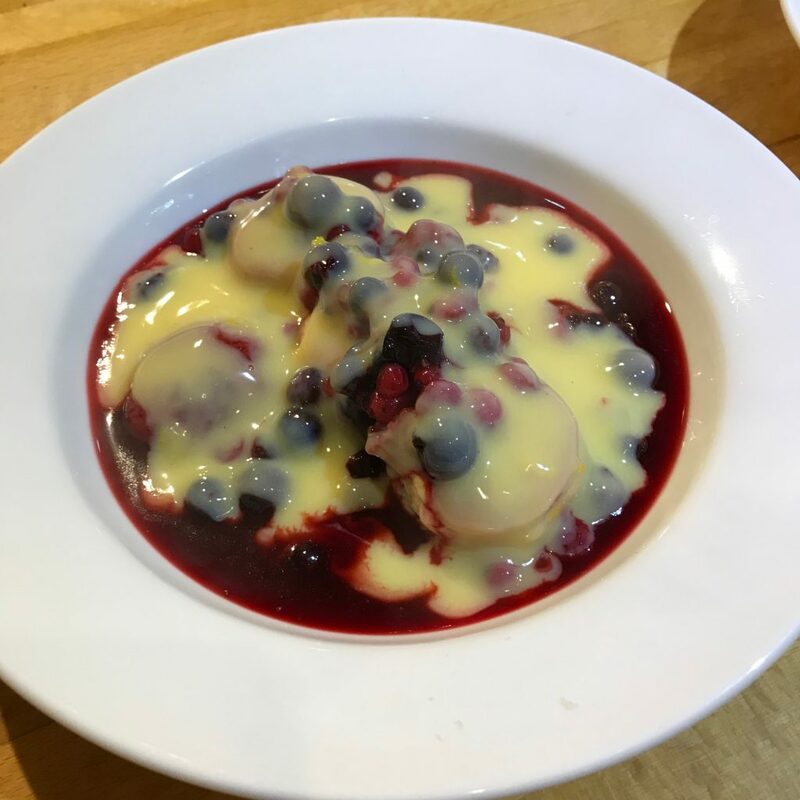 Walnut Scones with sweetened Berries and Orange Custard. Made two Custards. The Vegan Custard was made with Soy Milk.